Updated Saturday, Nov. 29, 2014, with a link to the video of the lecture by Mathias Kondolf. More than 100 people gathered last Friday evening to hear Mathias Kondolf speak about rivers, river restoration, and the state of Buffalo Bayou at the Assembly Hall of St. Theresa Memorial Park Catholic Church. 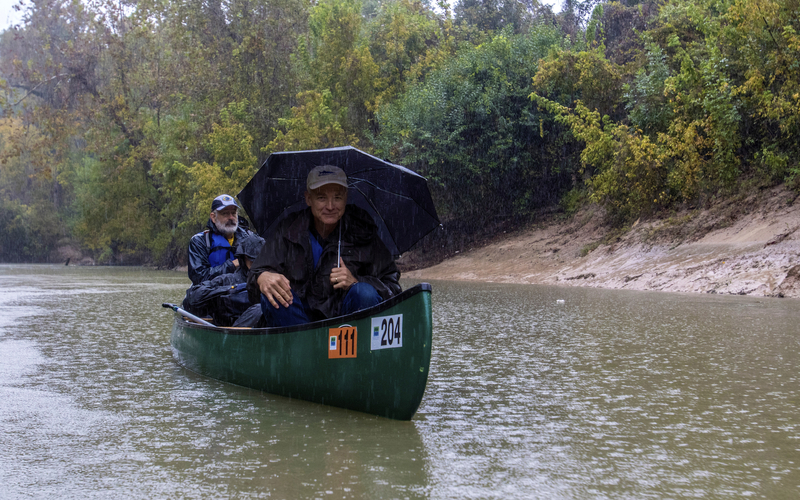 Kondolf is a professor at the University of California at Berkeley, a world-renowned river scientist, and a leading critic of the destructive and often-failing methods proposed for a $6 million “erosion control” and “bank stabilization” project on Buffalo Bayou. He spoke for nearly two hours to a crowd that included people on all sides of a controversial project to bulldoze the riparian forest and dredge and channelize nearly 1.5 miles of one of the last natural stretches of the bayou in the city. The project, known as the Memorial Park Demonstration Project, was conceived by the Bayou Preservation Association, which actively promotes the plan. The Army Corps of Engineers is considering whether to issue a permit to the Harris County Flood Control District for the project. Riparian forest or buffer, also called a riparian zone, consists of specially adapted trees and plants along the edge of a waterway. Among the many important functions of riparian zones are protecting the land from erosion, filtering pollution, cleansing the water, slowing flood water, and providing wildlife and human habitat. Kondolf had spent hours inspecting the bayou in the rain earlier in the day. The project area is bounded entirely on the south by the River Oaks Country Club golf course, which is currently being renovated. The north bank of the project is our public Memorial Park, along with the Hogg Bird Sanctuary and some private property. Taxpayers are contributing $4 million to this project. Professor Mathias Kondolf on Buffalo Bayou, Friday, Nov. 21, 2014. Photo by Jim Olive. Next Who’s Cutting the Black Willows on Buffalo Bayou in Memorial Park?